An update on my recent activities, from my trip to Ithaca, New York through our current snow storm. The trip to my parent’s was a great success. My lovely wife and daughter stayed behind so it was just me and the ‘rents – it’s been awhile since that has happened! Building the top bar hives was a bit of a challenge, so I really appreciated having dear old dad to assist. 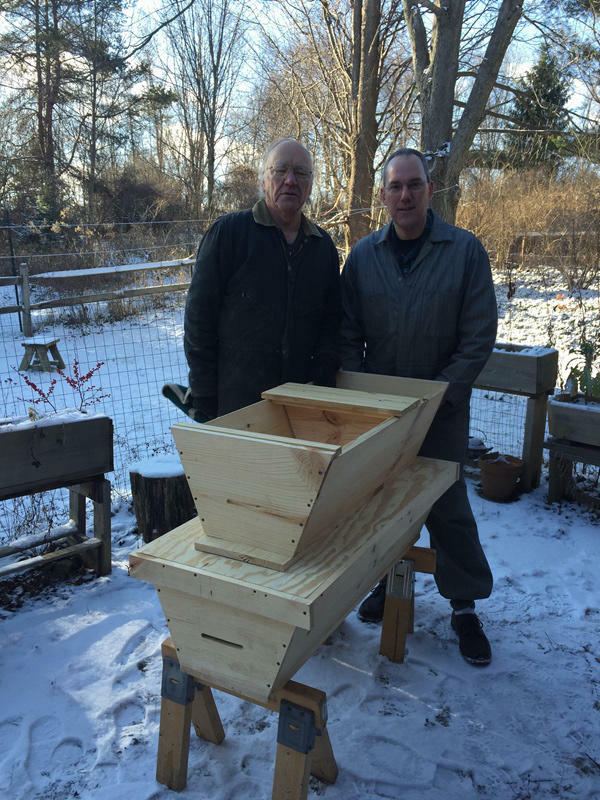 We built two hives based on the plans from my prior post, and had a nice time in and around Ithaca. We even visited local beekeeper Duane Waid and toured his honey processing facility. More on that another time, perhaps. As I mentioned in my last post, one of my near-term goals is to build a new top bar hive. The plan is to travel to my parent’s house this weekend, where my dear father has agreed to help me build the new hive. He has become quite the woodworker in his retirement, building and selling custom furniture throughout the year. My prior post You may bee right was never intended to have a sequel. Yet it elicited a somewhat critical response from a local beekeeper who was disappointed in my lack of mite checks. I know I’m supposed to check mites, but it takes time, and I didn’t know how, and its my first year I’m still trying to get comfortable with bees flying around my head. 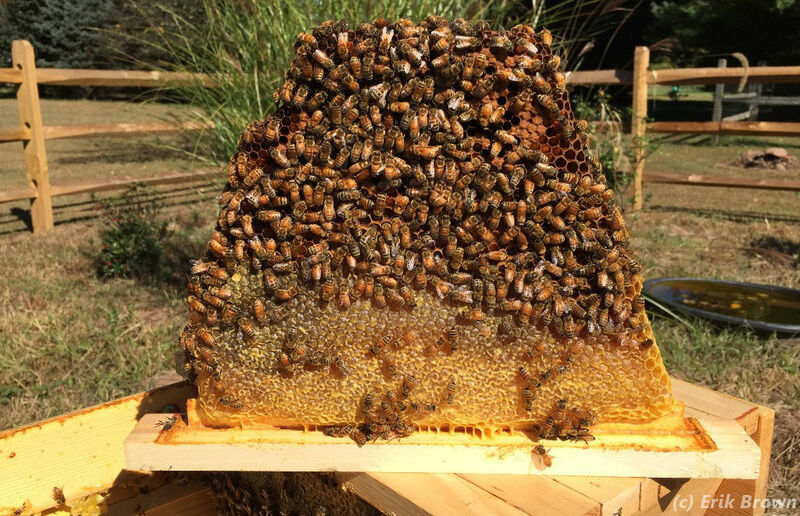 In any case, while the top bar hive was the one to suspect, everything I’ve read indicates that a new hive with new comb in a new spot is likely to survive the first winter. So it was that I set out to prove the criticism unfounded and myself correct. Hence, a sequel. A brood comb from Venus on Oct 12, 2015. The top part of this and other brood comb now has capped honey.